Pedal Steal is the latest installment in Sugar Hill's plan to restore all of maverick renaissance man Terry Allen's recordings to print again. It's loosely based on an actual steel guitar player who wandered Texas and New Mexico in the late 60s-early 70s, one of the first to use the instrument for rock and roll. 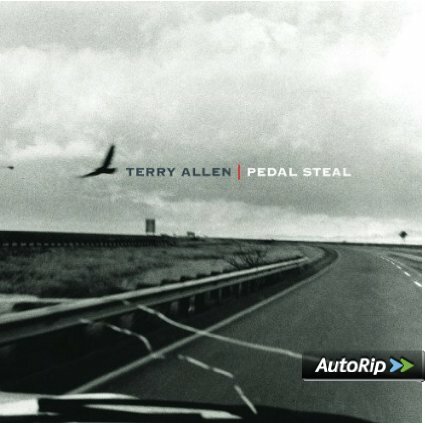 Commissioned as a soundtrack for the Margaret Jenkins Dance Company in San Francisco, Pedal Steal premiered at the Brooklyn Academy of Music's Next Wave Festival October 22, 1985. The soundtrack and staging of Pedal Steal received the New York Dance Critics' acclaimed 'Bessie' award. 2006. 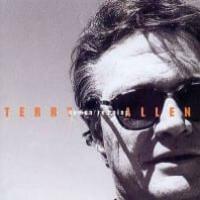 This 1994 disc collects two scores to ballets by the Margaret Jenkins Dance Company written by the Texas-born, New Mexico-based art/country eccentric Terry Allen. 1986's Pedal Steel conflates the legend of New Mexico outlaw Billy the Kid with another, different type of New Mexico outlaw, a semi-legendary pedal steel guitarist named Wayne Gailey, who toured with a roadhouse band in New Mexico and west Texas in the '60s and '70s before dying of a drug overdose in Nevada in 1977. In songs and spoken-word segments Allen skillfully twists the two stories around each other until he's talking about both of them at once. 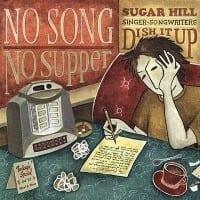 Darker and less overtly humorous than Allen's other work, Pedal Steel is a gripping, often fascinating story that ends with a heartfelt version of the Carter Family classic "Give Me the Flowers" sung by Allen's old friend, Butch Hancock. Unlike the narrative Pedal Steel, Rollback is a collection of discrete songs and, unusually for Allen, instrumental pieces that have a more fractured, impressionistic feel that probably works a lot better when experienced with the dances and films described in the liner notes.